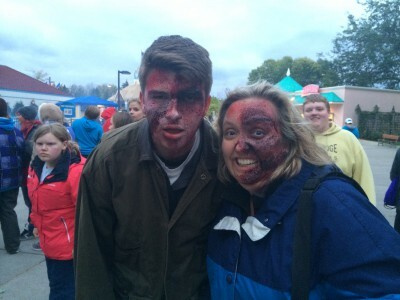 Join the Lofties once again for Scare School at Valley Scare. Have the opportunity to learn the “art of scare” as the entertainment department takes you behind the scenes of their Halloween Haunt. After a couple of hours of learning the magic behind the mayhem, you will be released into the park for a great evening of Halloween fun. Complete the permission slip and bring a check made out to the Loft Stage to Ms. Hestwood by September 17th! No late entries can be accepted!